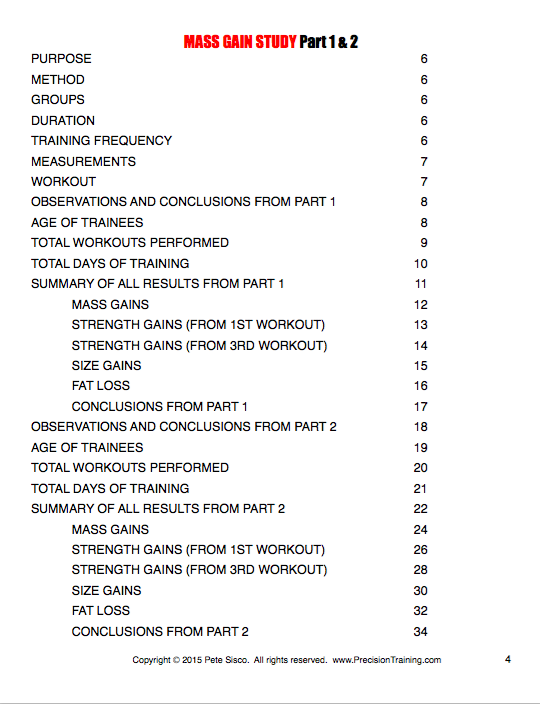 The Mass Gain Study: The results speak for themselves. UPDATED: July, 2018: I’ve been training people with this workout for about 2 years now – and they are getting some of the best results I’ve ever seen. This is proving to be a real winner! Over a period of nearly two years we ran some studies to measure a few things. We wanted to know how much mass and size people could gain by performing brief, infrequent workouts. All trainees were required to perform at least 8 workouts over at least 60 days. Some took longer than 60 days but everyone did at least 8 workouts and never more than 10. 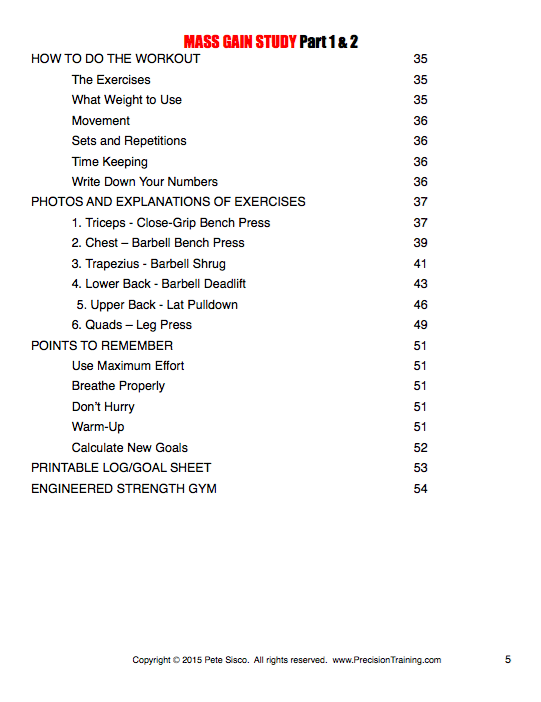 We’ve reported the data in this 54-page e-book and also included the exact, illustrated workout with step-by-step instructions anyone can do in any gym in the world using the most common equipment. Clear charts, graphs and explanations show you everything. The results speak for themselves. These trainees gained mass and size at an almost freakish rate: several pounds of muscle and several inches on combined chest and arms – from about 8 workouts! 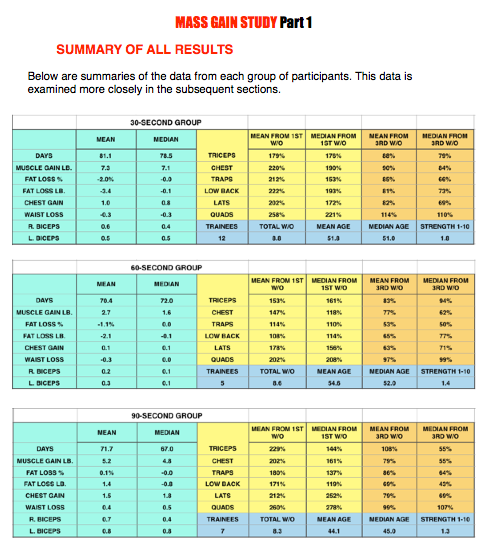 Rather than vague hype, you can see measured results from people who did the exact workout you can do in the report. This is not a crazy program that eventually burns you out from overtraining and exhaustion. In fact, it’s the opposite. The whole point of the program is to find sustainable, predictable progress any person could follow for years. It works because it is logical and methodical, not because models and actors are paid to say so. To me, this is the biggest reason: You’ll support honest, rational training. We all know the world of fitness and strength training is full of silly gym lore and crappy, macho training advice. Virtually nobody is offering exact measurements and clear reasoning in their training systems. By purchasing this inexpensive e-book you are giving your personal market support to someone trying to break through the noise and offer calculation and reason in a marketplace full of of juvenile hype. Further studies. 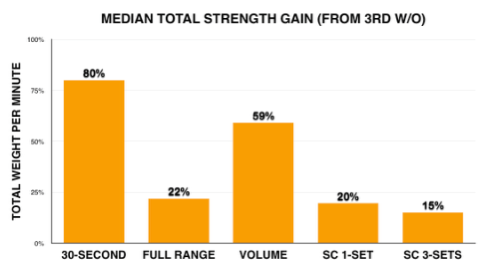 Depending on the response to this Mass Gain Study, there are other elements of strength training we would love to explore and study. If enough market support is forthcoming, we will do more of this and bring you more clear answers. Not Sure? Check it out for 30 days. Read the report. Do a few workouts. If you’re not happy, I’ll refund your 12 bucks. No worries. WAIT . . . want us to do all the calculations for you? 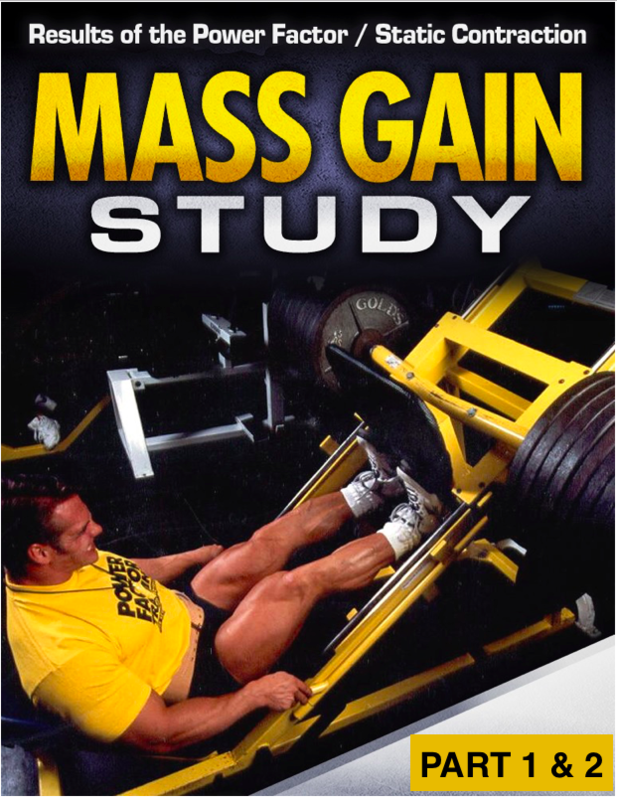 Get the study e-book FREE when you join the Engineered Strength Gym for the MASS GAIN Workout.